Congratulations to Owner Chip Lacy, Capt. 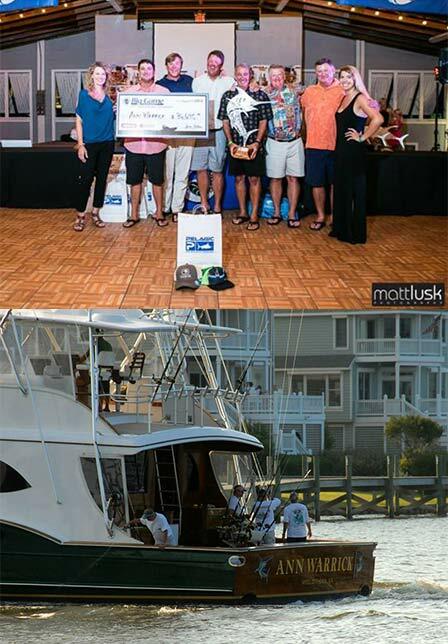 Brad Diaz plus crew and team of Frank Adams, Joey Belton, Owen Maxwell and Jeff Reibel aboard the 76 foot ANN WARRICK for taking second in the Pirate’s Cove Big Game Tournament with 11 billfish releases totaling 630 points! Congratulations also goes to the HOG WILD for the Top Youth Angler, Jimmie Horning and to the SNIPER for the Top Male Angler, Dan Stefano with scores totaling 350 points each! Thanks to Skeeter Sawyer and Lusk Photography for the photos!